A second team that arrived in Istanbul to help cover-up the murder of Saudi journalist Jamal Khashoggi was dispatched by Muhammed Dahlan, UAE Crown Prince Muhammed bin Zayed’s chief hitman in the region, according to newly obtained information about the aftermath of the chilling murder. Khashoggi, a frequent contributor to The Washington Post, was killed on Oct. 2 inside the Consulate of Saudi Arabia in Istanbul. Dahlan, who is of Palestinian origin, played an active role in assembling a “cover-up team” of four tasked with erasing all traces of the gruesome murder, according to an informed source who spoke to Yeni Şafak daily on the condition of anonymity. The same team dispatched by Dahlan to Istanbul is said to have been behind the assassination of senior Hamas member Mahmood al-Mabhih in 2010, according to Yeni Şafak security sources. 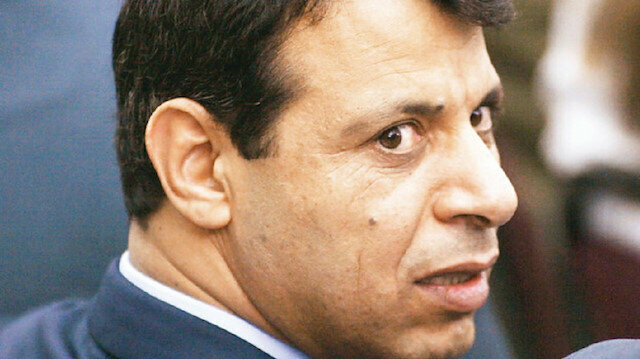 Mohammed Dahlan, the former security chief for the Palestinian Authority who is also known as the “hitman” of the Middle East, was the main mediator between the UAE government and an assassination squad in Yemen. The body of slain Saudi journalist Jamal Khashoggi may have been smuggled out in suitcases, said Turkey’s Defense Minister Hulusi Akar on Sunday.Khashoggi, a frequent contributor to The Washington Post, was killed Oct. 2 inside the Saudi consulate in Istanbul.Speaking during the International Security Forum in Canada, Hulusi outlined the possible scenarios for culprits to smuggle the body after the gruesome murder in Istanbul.“You can talk about possibilities regarding this subject. One is that they left Turkey three to four hours after the murder. They may have smuggled Khashoggi’s dismembered body out in suitcases without any problems due to their diplomatic immunity,” said Akar in Halifax.Khashoggi’s body injected with clotting agent to ‘leave no blood trace’CIA believes Saudi crown prince ordered journalist's killingAccording to reports, Turkish investigators found traces of "hydrofluoric acid and other chemicals" inside a well at the Saudi consul general's home in Istanbul, suggesting Khashoggi’s body was dissolved in acid and other chemicals.After weeks of denying any involvement in the crime, Saudi Arabia later admitted that Khashoggi had been killed inside the consulate but claimed the Saudi royal family had no prior knowledge of any plot to murder the journalist.On Thursday, Saudi Arabia’s chief prosecutor’s office announced it had charged 11 out of 21 suspects in relation to the murder, seeking the death penalty for five of the suspects.The CIA believes Saudi Crown Prince Mohammed bin Salman ordered the killing of journalist Jamal Khashoggi, sources familiar with the matter said on Friday, complicating President Donald Trump's efforts to preserve ties with a key U.S. ally.The sources said the CIA had briefed other parts of the U.S. government, including Congress, on its assessment, which contradicts Saudi government assertions that Prince Mohammed was not involved. The team, which arrived in Istanbul where they three spent nights, from Lebanon a day before the murder on Oct. 1, had entered the Saudi consulate building on the day of the Khashoggi murder, according to surveillance footage obtained by Turkish officials. According to reports, Turkish investigators found traces of "hydrofluoric acid and other chemicals" inside a well at the Saudi consul general's home in Istanbul, suggesting Khashoggi’s body was dissolved in acid and other chemicals. After weeks of denying any involvement in the crime, Saudi Arabia later admitted that Khashoggi had been killed inside the consulate but claimed the Saudi royal family had no prior knowledge of any plot to murder the journalist. On Thursday, Saudi Arabia’s chief prosecutor’s office announced it had charged 11 out of 21 suspects in relation to the murder, seeking the death penalty for five of the suspects. The CIA believes Saudi Crown Prince Mohammed bin Salman ordered the killing of Khashoggi, sources familiar with the matter said on Friday, complicating President Donald Trump's efforts to preserve ties with a key U.S. ally.